Our guide to Austin will help you find the best kid friendly parks in Austin Texas. There's a mystique about Austin. Even if you've lived for years in this small town turned big city, the reasons why the city functions as it does, and why it seems so different from other U.S. cities, may not be readily apparent. High-tech industries have migrated to the area, making it Texas's answer to Silicon Valley. The city has also become an important filmmaking center. Austin is an extraordinarily open and welcoming place -- a city where you're not only allowed but expected to be yourself, in all your quirky glory. The people you encounter are likely to be laissez-faire and may even be newcomers themselves. For the moment, Austin retains a few vestiges of a small-town atmosphere -- but a quick scan of its fast-growing downtown skyline will tell you that its days as a sleepy college town are long gone. There are tons of great kid friendly parks in the city of Austin, our city guide will help you find the best kid friendly parks. You may have a hard time deciding what to do in Austin, but we make your decision easy. 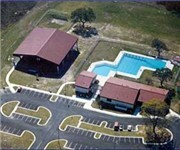 1200 Montopolis Dr, (512) 385-5931 - Montopolis Recreation Center and park boasts a gymnasium, boxing room, playscape, swimming pool and a lighted softball/football field. 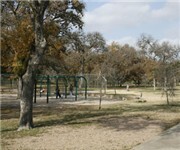 1100 Kingsbury St, (512) 974-6700 - Pease Park features a playground, picnic tables, playing fields, hiking trails, and more. Restrooms are available. 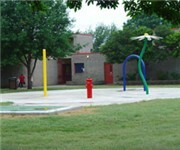 1500 Rosewood Ave, (512) 477-1566 - Kealing Playground features basketball courts, picnic tables, tennis courts, a swimming pool, playing fields, and a playground. 900 Guadalupe St, (512) 974-7300 - Dowtown Austin's Wooldridge Square Park features picnic tables and hosts concerts and other special events throughout the year. 920 W Riverside Dr, (512) 482-0800 - Auditorium Shores features plenty of green space for picnics and hosts a variety of live music and other special events. 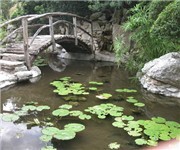 3808 Old Bull Creek Rd, (512) 477-2687 - Mayfield's 22 acres include landscaped lily ponds and gardens that are home to roaming peacocks. There are plenty more kid friendly parks in Austin. 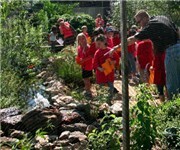 See all kid friendly parks in Austin Texas.